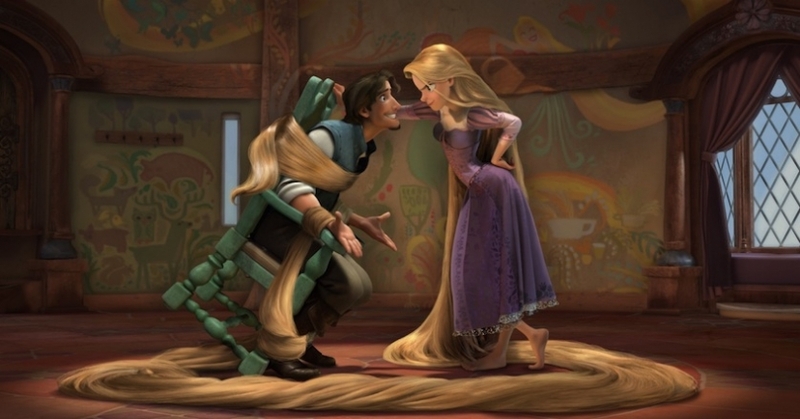 I went and saw Tangled today and I thought it was wonderful. I want blonde hair now. Although I would look horrible and strange. So that got me thinking–I wish there were more black-haired princesses I could relate to/pretend to be. So far all I’ve got is Snow White. Which is enough, but still. Look at all the blondes! We even have two red heads now with Ariel and Giselle. Yes, I know that Tiana, Jasmine, and Mulan all have black hair. But I am not Black, Middle-Eastern, or Chinese. I can’t relate to that! Haha. So I came up with a couple of ideas that I think Disney should draw (pun intended) from. Spanish Princess from Madrid: Her name is Princessa Elena. She has long, shiny, flowing black hair. Antonio Banderas and Penelope Cruz voice her parents. Her sidekick/pet/friend is a bull named Torito. All her life, she’s dreamed of becoming her country’s first non-violent matadora, and being known for something more than just “la princessita de España,” but her parents, El Rey y La Reina, have forbidden her from following her dream, fearing that she will get hurt and be made a mockery of throughout the kingdom and country. With the help of Andres Cortes, the snotty, proud, best matador in all of Spain, humbled and intrigued by Elena’s strength and beauty, she and Torito become known by their talent, power, and might, but not before outsmarting Andres’ evil manager. Of course, Andres changes his ways, having fallen in love with Elena, and together they come to be known as the most sensational, non-violent matadores to ever bull-fight in Spain. They even get commemorative statues made of them, which get put in the town courtyard. Dreams do come true. Italian Princess from Firenze: Lucia (also with long, shiny, flowing black hair) has grown up alone with her poor, cold, and bitter step-father, Vito, on his unsuccessful vineyard. Her life consists of grape-smashing and -picking by day, and painting glorious paintings in her dungeon of a room by night. Her only friend is a little chirpy bird named Gelato. She dreams of someday becoming a painter, and painting in grand cathedrals in the great city of Roma. But alas, she fears her step-father, who locks her in her room every night. One day, while Vito’s off on a trip to try and sell his grapes, Gelato helps Lucia break out of her room. She’s determined to escape to Rome to follow her dreams. Along the way, she meets Lorenzo, a traveler from Napoli, who is heading to Rome to follow his dream of sharing his pizza with the great city. What Lucia doesn’t know is that Lorenzo is actually a great prince, who grew tired of living his life trapped in a castle. Together, they paint their way into a beautiful and romantic love story as they defy the odds that are against them and seek their dreams. we should sell these stories hurry!! I won't have to work anymore!! this are SO great! i still want a little bridie named gelato :] and i appreciate that penelope cruz's character remains alive throughout the entire movie. and yes, please help cast us as some villagers they meet along their journey to princess-dom. man i want to start these story boards right now. I love love both ideas!!! Way excited for a raven-haired princess. What time periods would they take place in? Haha ok Christine you are the official storyboard creator lol. And Kristen, “once upon a time,” of course ;). Umm I absolutely LOVE idea number 1. It is fantastic.